Forums at Modded Mustangs > Vendors > CARiD.com > Enhance your Mustang's body with new Duraflex Fiberglass Hood! 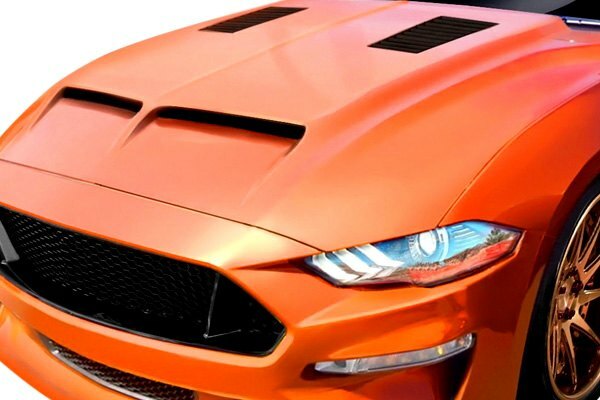 Enhance your Mustang's body with new Duraflex Fiberglass Hood! Sneak peak at the newest line of custom hoods for the 2018 and up Ford Mustang. Two different styles to enhance the appearance of your muscle car are now available at CARiD! 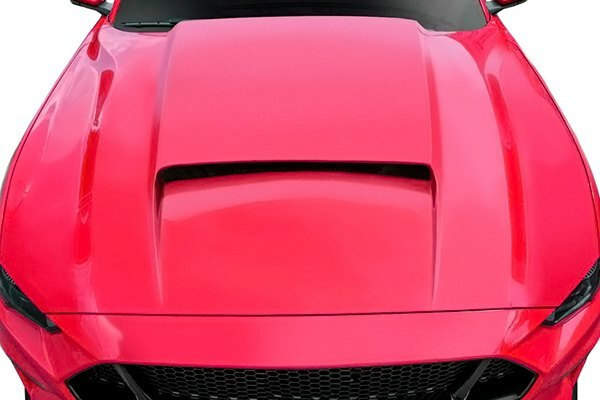 Whether you need to replace a damaged hood, or simply want to give your Mustang a makeover, any of the new Duraflex hoods will help you to achieve this goal. The hoods are available in two designs - CVX and GT500 Style. 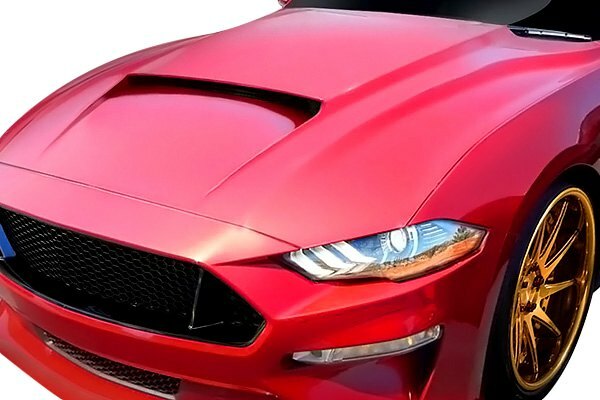 CVX hood will be perfect for the drivers looking for new ways of customizing the 2018+ Mustangs and improving the engine ventilation. If you’re a fan of the good old classics and want to stay true to the Ford original DNA, GT500 style hood will be your best bet. 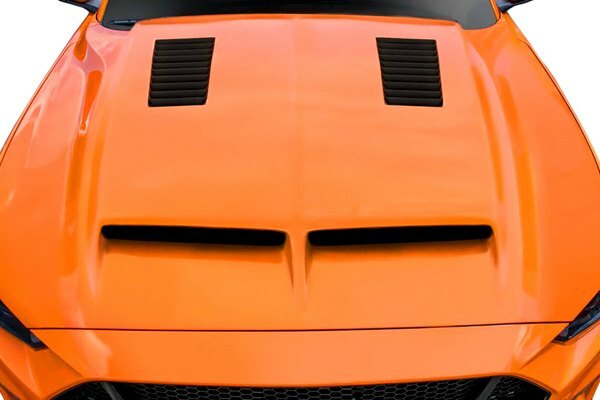 Discover more information about new Duraflex hoods for your Mustang on this page. I don't know why, but I have an issue putting a plastic hood on my car. Will it actually hold up better than the steel hood? I've heard a lot of horror stories about fitment issues with non-steel hoods.